NEW YORK, November 12, 2018—The Overseas Press Club condemns the relentless attacks on press freedom by the government of the Philippines as its justice department announces it will file tax evasion charges against Rappler Holdings Corp. and journalist founder, Maria Ressa, a longtime critic of President Rodrigo Duterte. In February 2018, the Philippine government banned Rappler from covering all presidential events because Duterte, according to a spokesman, could “no longer trust” the independent online outlet due to its “fake news” reporting. 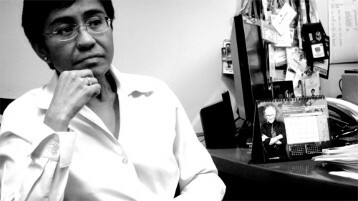 Journalists and members of the press freedom community worldwide formed a chorus of support for Ressa expressing concern over government attempts to silence the media and calling on Philippine officials to drop the politically motivated charges. “This is an attack on one of the world’s bravest journalists,” said Marty Baron, the executive editor of The Washington Post. “We are not at all surprised about the decision, considering the track record of how the government has treated Rappler as a result of its independent and fearless reporting,” said Francis Lim, Rappler’s legal counsel. Lim denied the tax evasion charges regarding 2015 Rappler bond sales to a pair of foreign entities. He added that Rappler is wholly Filipino-owned and that foreigners have neither voting rights nor influence in its operation.